These limpid truths about the nature of the Divine encourage confidence and intimacy as we relate with God, and counter misconceptions about what God is truly like. 1. God the artist, creator, who loves creative expression. 2. God as good company, friend, one who enjoys our company and actually really likes us. 3. God our protector/provider, redeeming the image of father through his faithful care of us. 4. God our life giver, a nurturing God who gathers us in his arms and picks us up when we fall. This chapter explores the nature of God through the metaphor of mother, the God who embraces us and picks us up when we fall. 5. God our teacher, guide, and life-coach: not handing out rules and regulations but giving practical insight for wisdom, health and good living. 6. God as physician, healer. He won't always provide miracles, yet God does heal physically and emotionally, so we can approach with expectation and hope. 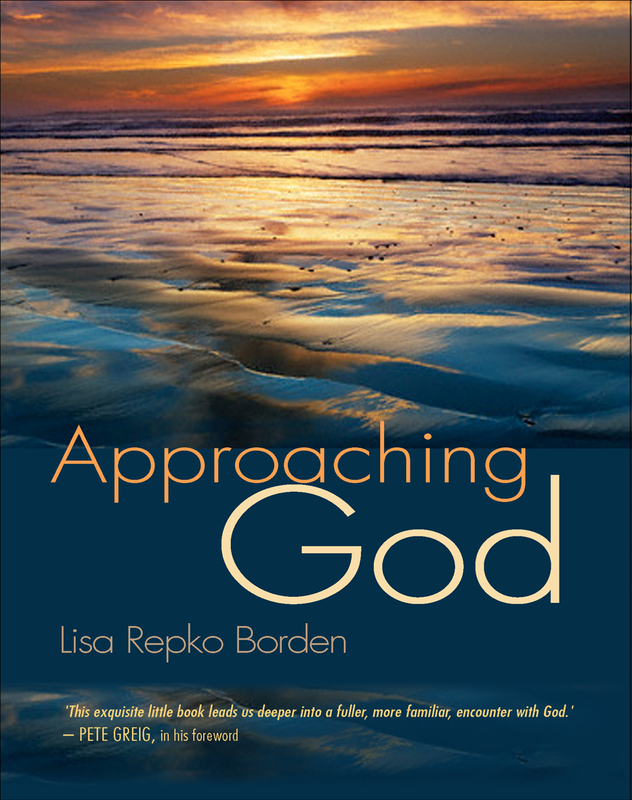 Approaching God by Lisa Repko Borden was published by Lion Hudson in August 2010 and is our 13853rd best seller. The ISBN for Approaching God is 9781854249487. This is an interesting little hardback book that is rather like reading the authors personal meditations on growing in understanding of who God is and how we react with that God. Moving through the understandings of God as Friend, Father, Mother, Artist, Healer, Guide it delves into what these things mean and how we understand these things both through the Bible and through our own experiences. It builds to show that there are myriad ways of interacting with the Creator and that He provides all these ways so that we can truly come to be in relationship with Him. It is a lovely little book and at the end of each chapter is a 'Responding to God as..' section which makes for a great personal study time, but could equally as well be adapted to use in a house group setting which would make this book ideal for using as a six week study. I also think this book would make a perfect confirmation or adult baptism gift. 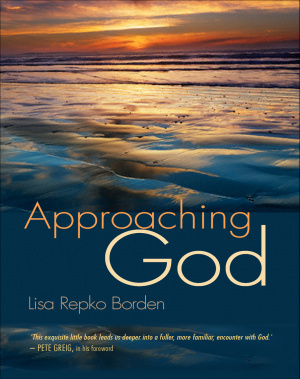 'Approaching God' by Lisa Repko Borden is a charmingly produced little book. Warmth seeps through its pages, encouraging us to approach God in prayer. Using a mixture of personal anecdotes, beautiful photographs and relevant Scripture, Lisa encourages us to approach God in prayer as she invites us to consider different aspects of God. We may not have considered God as 'Mother' or 'Artist' before, but Lisa shows us how we may do so, along with more conventional ideas of God as Friend, Father, Healer and Guide. These ideas all help us to approach God in prayer. A great gift for believers of all ages and spiritual maturity. This book has arisen out of Lisa's involvement with the 24-7 Prayer movement. At present, Tanzania is 'home' for her and her family. Got a question? No problem! Just click here to ask us about Approaching God.